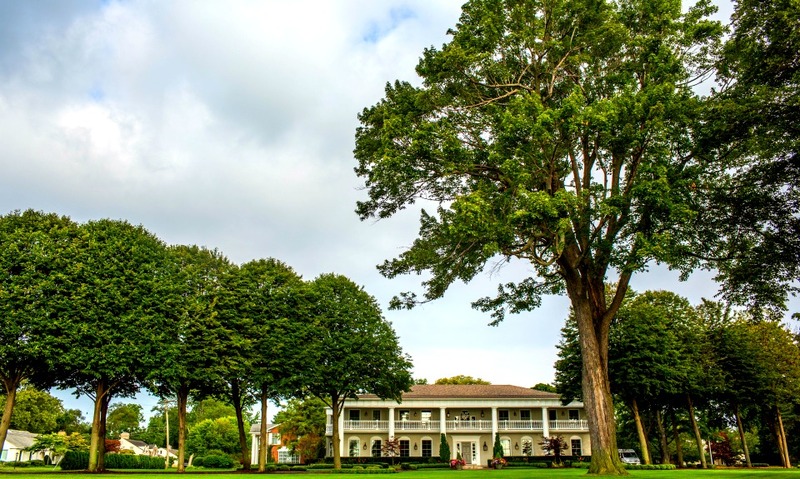 The Grosse Pointes include five independent municipalities—Grosse Pointe Park, City, Farms, Shores and Woods—bordering Detroit, Harper Woods and St. Clair Shores on the south, west and north; and Lake St. Clair on the east. Though notorious for their wealth and exclusivity, the Pointes feature a wide variety of housing types and price ranges, from stately mansions to tiny bungalows and everything in between. The Pointes are known for their high-quality schools and residents-only parks along Lake St. Clair. 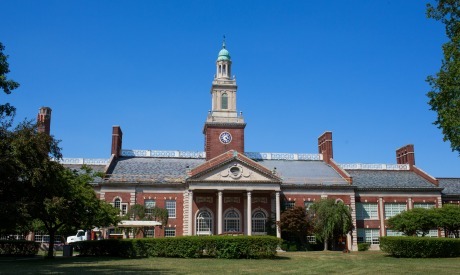 Grosse Pointe South High School's sprawling Georgian revival colonial style building, built in 1928, contrasts with Grosse Pointe North's modern campus built in 1963. Lakefront parks feature tennis courts, swimming pools, splash pads and boat slips. 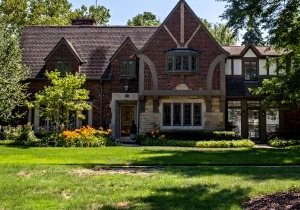 Private school options in the community include the Grosse Pointe Academy and University Liggett School. Residents include a mix of long-term "old-money" families and newer, educated professionals and families. In the last decade, racial diversity in the Pointes has increased significantly. Minorities now account for approximately one-third of students in both high schools. Surprisingly diverse, affluent to middle-class, highly educated, families, empty-nesters. Many Grosse Pointers were raised in the area. 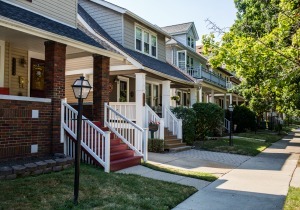 A wide range of housing styles and price ranges, competitive "sellers' market" driven by award-winning schools, beautiful parks and access to downtown Detroit. Affluent, high quality of life, quiet, waterfront and country-club influences, outdoors, village feel. The beautiful parks, great schools, waterfront access, storied history, graceful architecture, close and connected neighborhoods, high quality community services, easy access to downtown Detroit, walkable retail and dining options. Raising a family, commuting to Detroit or inner-ring suburbs, access to Detroit cultural attractions, fine dining, walking and biking, supporting independent and local retail. Discover the wide range of homes in The Grosse Pointes, a collection of diverse and upscale communities! The earliest settlement in Grosse Pointe was founded in the mid-late 1700s, when the area—defined by a low, broad point and marshy woodland along Lake St Clair at the mouth of the Detroit River—was first occupied by French ribbon farmers. They cultivated orchards and small crops on long, narrow plots extending inward from the lakeshore. The area increasingly became an enclave for French Detroiters after Detroit surrendered to the British in 1760. The imprint of those early French settlers can still be found in local placenames—Moran, Trombley, Campau, Poupard, Cadieux, Vernier—and some descendants of these families still reside in the community. The area became a summer destination for wealthy Detroit industrialists during the second part of the nineteenth century. As transit between Detroit and Grosse Pointe improved with a streetcar line in 1887 and the advent of the automobile in 1920, the town grew into a year-round suburb for Detroit's wealthiest families. 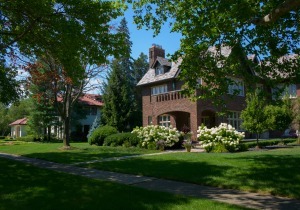 The streets of Grosse Pointe Park, City and Farms are lined with of examples of historically significant architecture. Grosse Pointe Shores and Woods were established later, featuring mid-late twentieth century bungalows, ranches, colonials and Cape Cods. 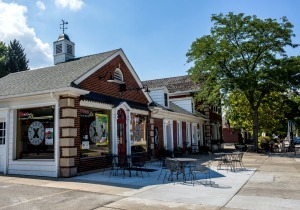 The Pointes also feature two quaint, walkable commercial districts—The Hill and The Village—in addition to smaller neighborhood-scale districts along Kercheval and Chalfonte in Grosse Pointe Park. 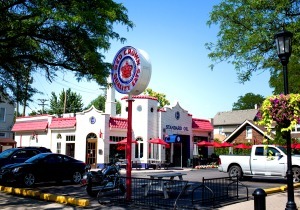 Four miles of Mack Avenue are also lined with shops, offices and restaurants. 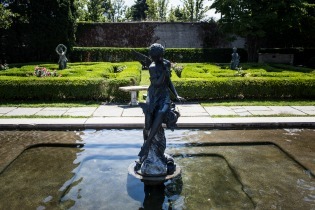 The city is replete with private clubs including the Country Club of Detroit, a private golf course dating from 1897; the Lochmoor Club, a private golf club founded in 1917; the Grosse Pointe Yacht Club, a private marina and sailing club founded in 1914; and the Grosse Pointe Hunt Club, an equestrian center founded in 1916. 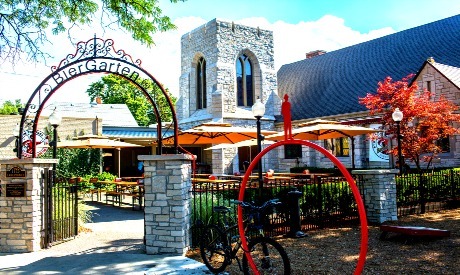 Other quasi-public attractions include the Grosse Pointe War Memorial dedicated in 1949 that functions as a community center; and the Edsel and Eleanor Ford Estate, a member organization offering tours, dining, event space and gardens.